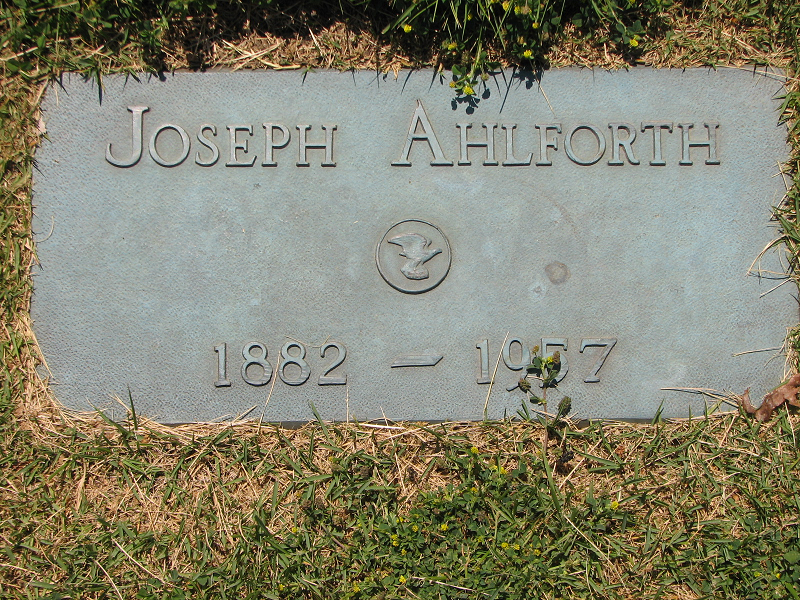 Joseph Ahlforth’s grave at Riverside Cemetery, Moline. Source: Findagrave.com. Joseph – or Carl as he sometimes calls himself – is already a coremaker at the Deere & Mansur farm implement factory in Moline at the turn of the century, and by 1920 he is a coremaker foreman. He has brown eyes and brown hair. In 1906 he marries local girl Nellie May Hunter, who is the daughter of one of his co-workers. They move in with her parents at 1925 28th Avenue and raise a daughter there. Nellie Hunter’s grave at Bowlesburg Cemetery, Silvis. 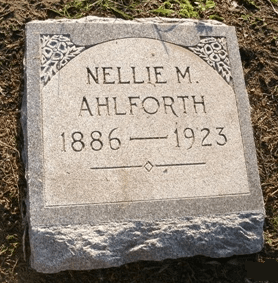 Source: Findagrave.com. In March 1922 they move briefly to Montana and then to Los Angeles. 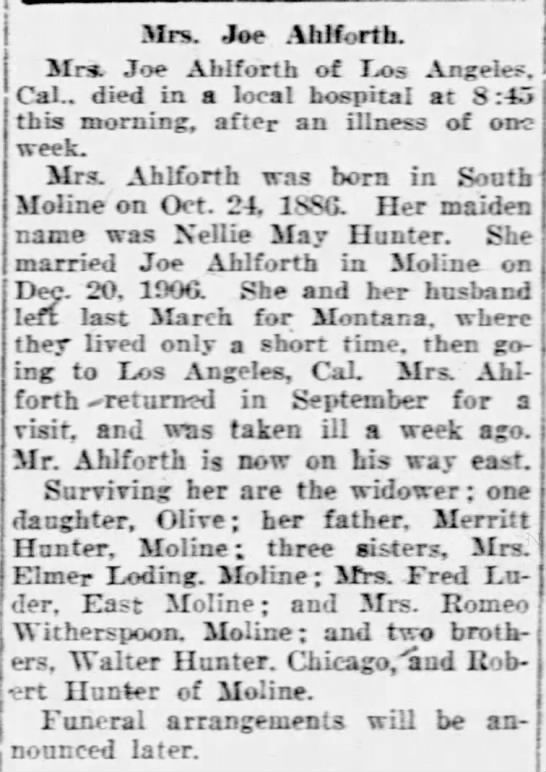 In September, Nellie is back in Moline to visit the family, but is taken ill and dies shortly afterwards. Her husband hurries thither from California, but by then it is too late. He never sees his Nellie again. Soon after Joseph marries a young woman by the name of Mabel, born in 1901 in Kentucky. In fact, she is only six years older than her step-daughter. We hear no more of her, however, and in 1940 he has moved in with his daughter and her family. His son-in-law co-owns a billiard hall. Etiketter: Ahlforthsläkten, gravstenar, Illinois. Lägg till bokmärke.